With my time overloaded and consumed with work, I made the call earlier in the year not to hold my Forest Run event. Presenting a race is not just the on-the-day commitment, but also the months of coordinating land permissions, volunteers, entry admin and a full week pre-race to cut, trim and mark the trails. I just could not do it this year and so cancelling the event was a relief. For the same date, Saturday 19 May 2018, I came up with another plan instead… Not Forest Run. 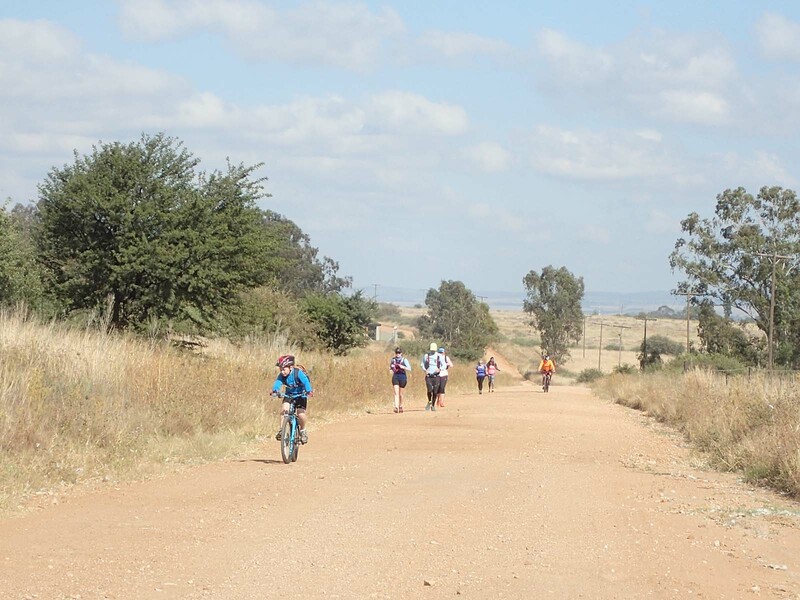 We have dirt roads all around Parys. 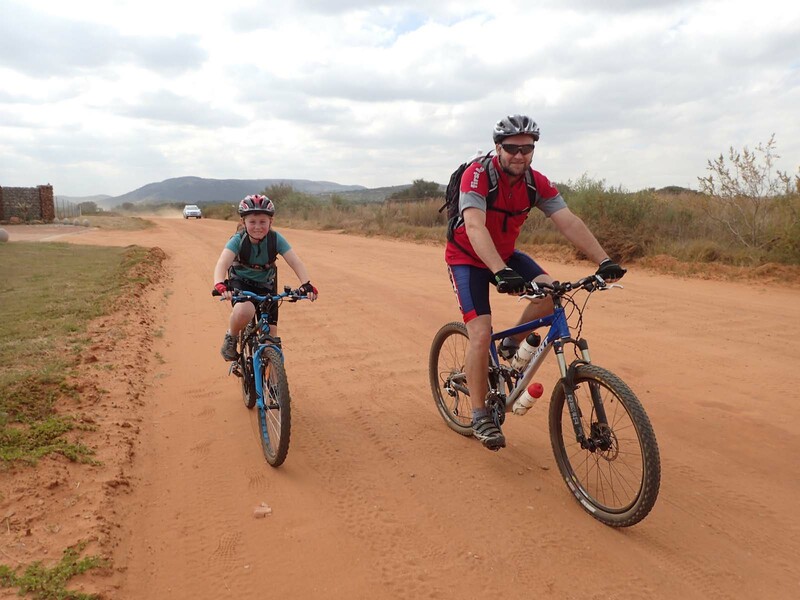 You can mountain bike and run for kilometres – and it is all good scenery. I decided to replace Forest Run with a route that I had been wanting to do; something that would not need any organisation nor permissions and that I could also do. 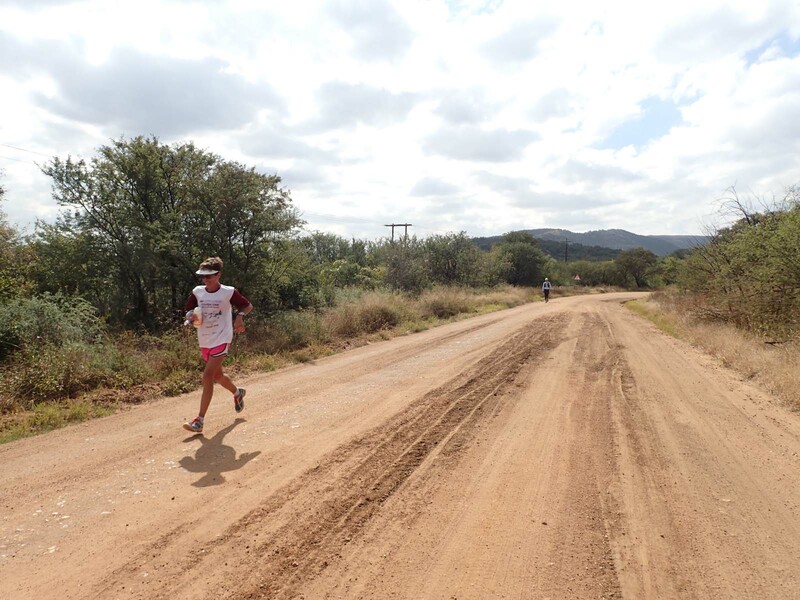 Not Forest Run, which we ran yesterday, is a loop route that starts and finishes at the Parys airfield. 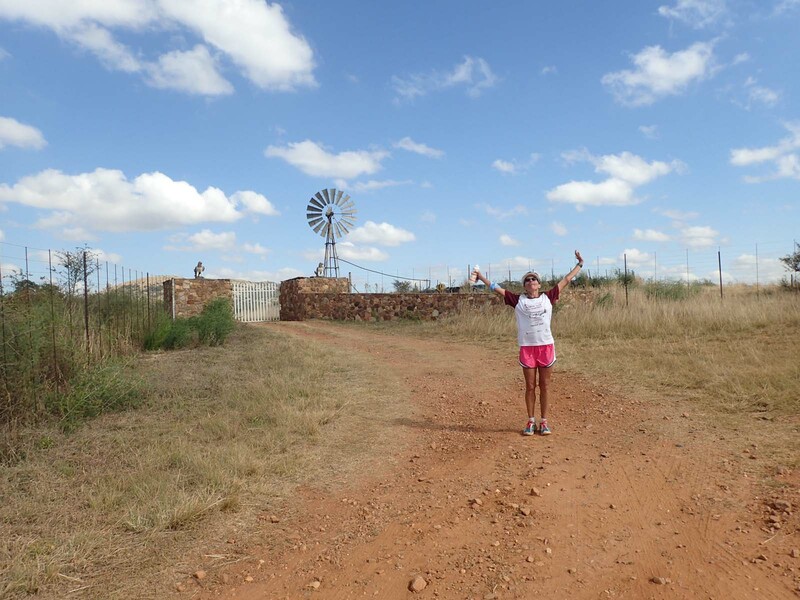 We ran on the open gravel of the Vaal Eden road, running past farms and venues and with views of the Vaal River and Vredefort Dome. My morning started as Run Director at our local parkrun. I left early to get to the airfield so my friend and fellow RD Karen collected the equipment and processed the results. The morning was milder than I expected although the cooling wind picked up. At the airfield I was surprised to see so many people. I was only expecting about six or seven but as Not Forest Run did not require any RSVP, I didn’t know who to expect. It is always a treat to have friends coming through. Allison and Tracey came through from JHB and Pretoria respectively, Amelia from JHB and Hazel also from JHB. Locals Bertrand and Michelle joined us. Ferdi, a local parkrunner, came along too. 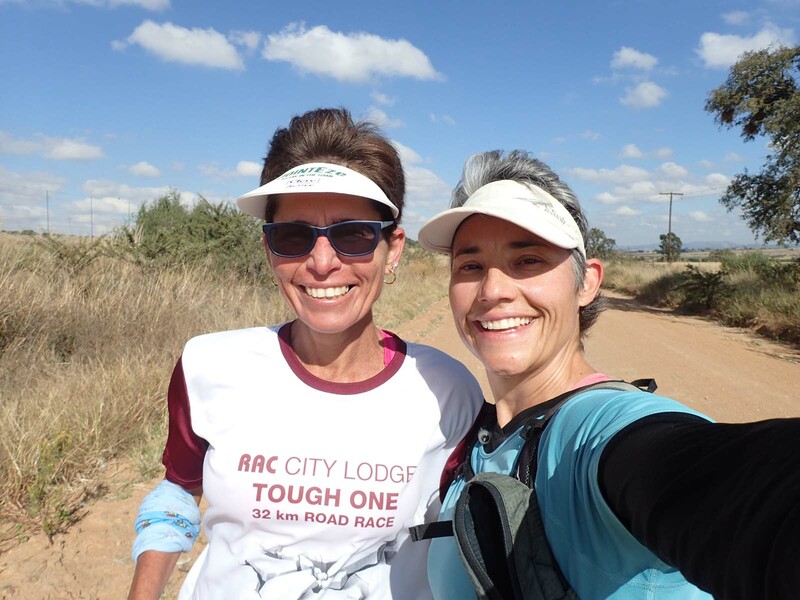 Then there were about five runners from Potch, recruited by Marilette. And another two or three, including Rachel and Angie, from JHB (recruited, I think, by Hazel). And a few that I recognised, but can’t quite place, probably from JHB/PTA. Ruben and Celliers joined us on their bikes. The idea with Not Forest Run is that you just have to rock up. This one started at 09h30. You run at your own pace. You are responsible for your own water and munchies. If you need to be rescued, you need to phone your own driver to come fetch you. Non running friends / partners were welcome to join on their bicycles. I didn’t mark the route but Celliers did ride ahead at the only real junction on the route where we need to turn left. He made a big arrow on the ground using some mielie meal. Off we went, under a blue sky dotted with puffy clouds. We took the route anti-clockwise, straight into a headwind. I hooked up with Hazel from the start – she met us on the road (which is why she isn’t in the start photo). 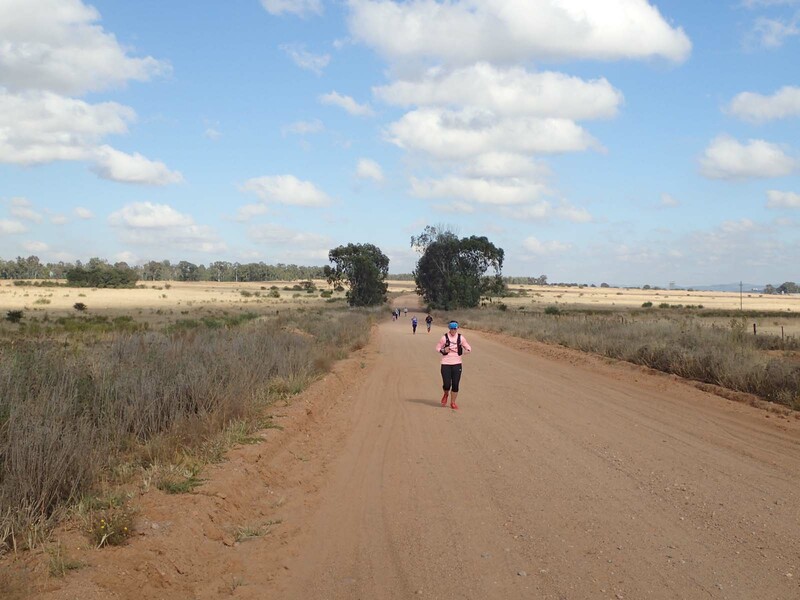 She had been dropped near the N1 highway and ran on the back roads to meet us (the thought it would be about 10km and ended up with a 20km ‘warm-up’. We haven’t seen each other for a while and, needless to say, we both have a capacity for conversation. If there had been any donkeys around they would have been legless by the end of our run. The route begins with a long climb at a gentle gradient. This makes for harder work in the beginning and then a number of kilometres of flat and down thereafter. I really enjoy the section after the left-hand turn as the road winds a bit more. I haven’t run 27km straight for too long but the kilometres literally flew past. We did some walkies on uphills and gobbled up the flats and downs. Another guy was the only other runner near us and we enjoyed playing tag as he would catch us on the ups and we’d catch him on the flats and downs. Ruben and Celliers caught up to us a few kilometres from the end. Both very chipper – they enjoyed their outing and were good at keeping an eye on the runners. 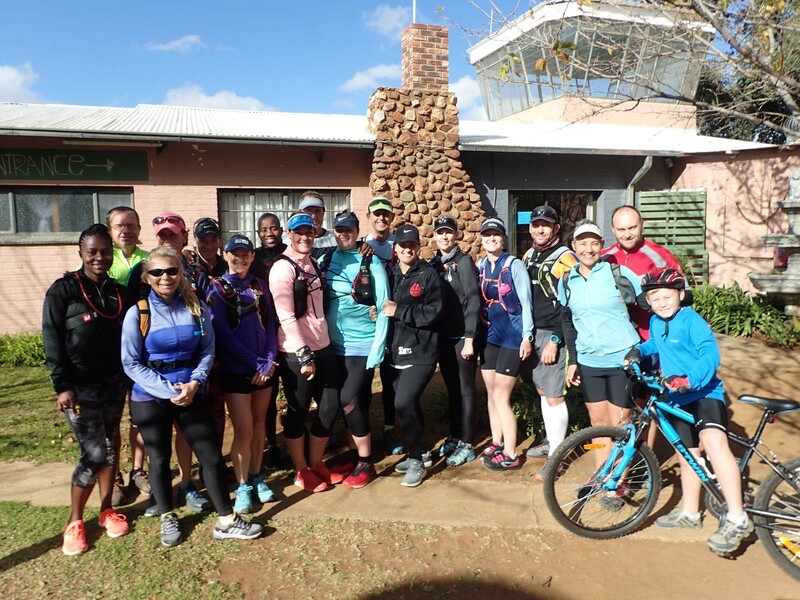 Back at the airfield we enjoyed chats, hellos and goodbyes as runners came in and headed off back home or to enjoy the festivities of Parys. Before we left, Celliers went out in his bakkie to check on the last two runners. They were only 3km from the finish and both had supporters waiting for them at the finish. This was a really superb Not Forest Run and one that we agreed could be enjoyed more regularly. 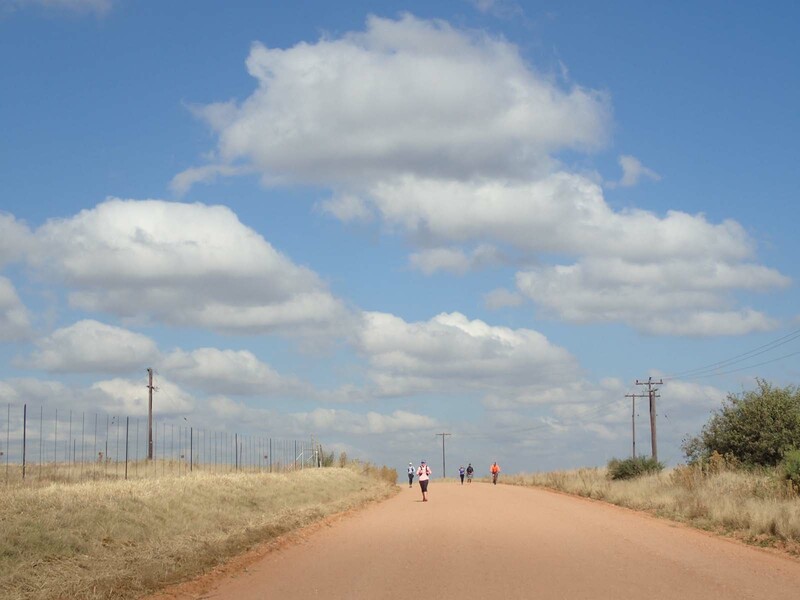 I suggested seasonal (spring, summer, autumn and winter) runnings of the route to appreciate the changes in the scenery and to commit to myself to get out there a few times a year. Good idea. Thank you to all the runners who came through to enjoy this run with me and to Celliers and Ruben for being my crew.